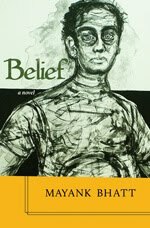 Thus Mahesh begins to recount to three strangers he meets, his obsession with an ill-fated couple. 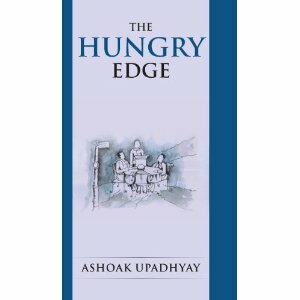 Skeptical, then intrigued, Arvind – bookseller, recently married, stifled by yet comfortable in a joint family; Ranjan – surface polish, seething passions, a banker with an eye on the main chance; and Dev Reddy – disenchanted left wing editor desperate for a stab at immortality will interpret Mahesh’s ‘confessions’ in the light of their insecurities and fantasies. Slowly but inexorably each will be driven to actions that will alter their lives and their dear ones irrevocably. By the end of his story, Mahesh too will not be the same again. This layered tale consisting of stories within stories is a commentary on urban Indians coping with the changes that globalisation is bringing into their social and moral lives. But it is also about memory and time and their role in shaping our passions and our self-perceptions. 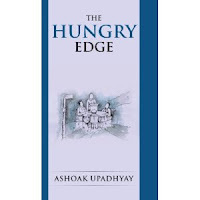 The Hungry Edge is set in present day Mumbai and the connecting narrative of the ‘confession’ is set in what used to be The Wayside Inn, where Mahesh a recluse with a “story in his heart” joins quite by chance three diners, the self-styled Gang of Three one Saturday afternoon. He returns every Saturday for his cathartic journey into the past. The novel is also a tribute to The Wayside Inn, a great haunt, adda actually, for poets, writers and shoppers. Its lazily whirring ceiling fans, red and white checked cloth over wooden tables, beer and indifferent continental fare added to an ambience for conversations that could stretch into the early dusk when the lights would be switched off and the Inn would fold up for the night. 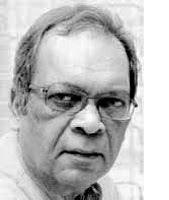 The novel draws upon the author's knowledge of Mumbai’s social and moral ‘history’ and business practices acquired in the course of his professional career. Journalism’s inherent limitations made him turn to fiction to explore the shifting currents of life in the city, their effects on self-worth more vividly and poignantly perhaps more ‘truthfully’. Its anecdotal history added to its charm in a city about to vanish into the age of mobiles and fast food and faster talk. On one of the tables a lawyer with cruel memories and burning ambition took the first step towards his own immortality by penning the first draft of the Indian Constitution. At later times but no less slow, artists and poets defined and refined the city’s cosmopolitan sensibility. It was into this Wayside that Mahesh walked in and changed destinies. “Then the storm ceased and she opened her inflamed eyes to swirls of her regurgitation refusing to sink out of sight, her nostrils filling with the stench of her soured life and she put her hand into it, stirring the slime over the sinkhole, her sobs now like knife stabs in her parched throat, her mouth drained of all moisture, pain like a craw in her gullet piercing whenever she gulped.” Deepika’s payment time!